Halloween is a great time of the year to pretend to be someone you’re not or to be more of that person you really are. It’s also a time to scare the heck out of people with scary stories, scary costumes or by just jumping out of the bushes while they walk past you on the way to get more candy. If that’s not your jam, then at least consider taking part in creating some new music for the season. Something spooky or other-world-ly. Something experimental. 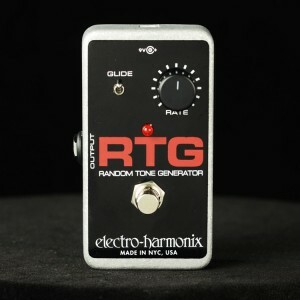 Today we saw on Amazon that the Electro-Harmonix Random Tone Generator (RTG) is on sale for $53.55. That’s $136.45 of the MSRP price — a solid deal. This particular offer also comes with a power supply, instrument cable, patch cable, picks and a polishing cloth (really? A polishing cloth?). Regardless, the pedal alone is a fun and experimental way to simulate the music you need during your next seance or hallow’s eve party. The RTG is pretty simple in it’s design. It has a switch to turn it on or off, a knob that controls the rate of the random tones and toggle that controls how the tone changes (smooth or staccato). 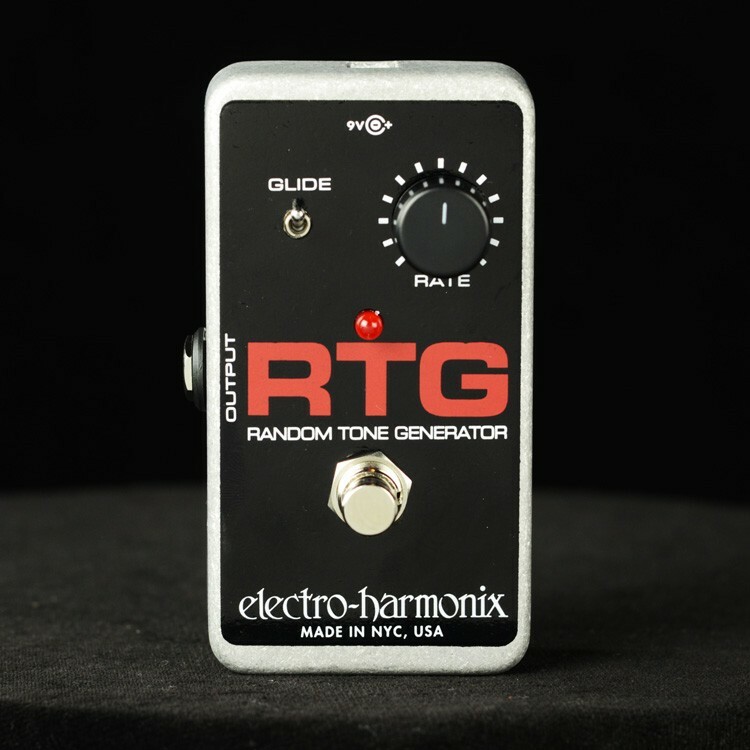 By taking the RTG and using it in conjunction with other pedals you can write the soundtrack for a moon landing or a creepy haunted house murder scene. It’s the best kind of atmosphere during this chilled, fall season. Here’s a video of some of the great combinations and sounds you can get. Check it out and leave us a review at Pedal Finder if you get the chance.